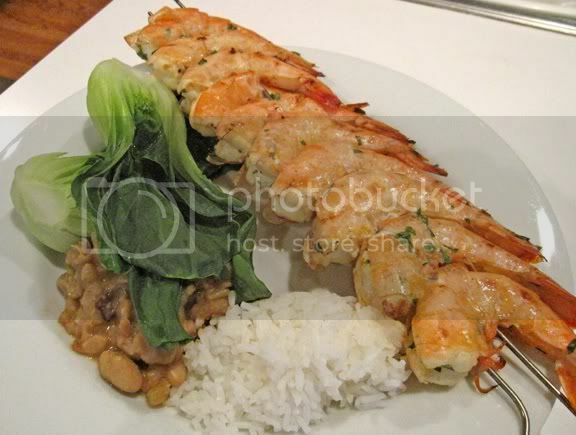 Fabian Seafood has been delivering Large and Jumbo shrimp to the Chicago area for 32 years. After Cathy2 recalled a seafood company that used to deliver to Villiard's Farm Stand, and LikestoEatout recalled the name of the group in this thread last year (http://lthforum.com/bb/viewtopic.php?p=333196#p333196) I went to their site online, discovered that they are still delivering to Chicago, and drove out to meet them last summer. I've brought home lovely shrimp, crab meat, oysters, and snapper, and all have been wonderfully fresh, packed in ice and never frozen. About 4 weeks ago they restarted their deliveries for this year. Here is the postcard I received early this week announcing their days/times and locations for the current trip that starts tomorrow. This week will mark their first appearance at a Farmers Market this year. Justin Gian took over his grandfather's route to Chicago some years ago. He told me that the current trip will be the last for a while as he and his wife are expecting their third child in the next weeks. He said he will resume his trips to Chicago just as soon as things at home settle down. I brought that snapper home, scaled it, scored the flesh with a knife and inserted slivers of fresh ginger and sprigs of dill, coated it with olive oil and salt, then placed it over direct glowing charcoal. Oh my . . .
Late last year some of their blue crab made it into an omelet. Here is a photo of their offerings on one trip (it changes thru the season) and pricing last year (I don't recall if it has changed). Cash or check only. Oops! My bad. I must make a correction to information in the above post. 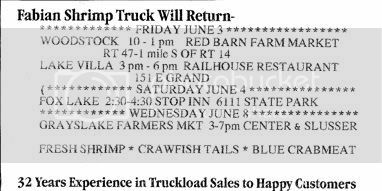 The baby is not coming until August, and Fabian Seafood will continue regular deliveries to the Chicago area thru June and July. As well as receiving their postcard notifications, I receive emails detailing dates/locations/times for their deliveries. I received the following last evening. 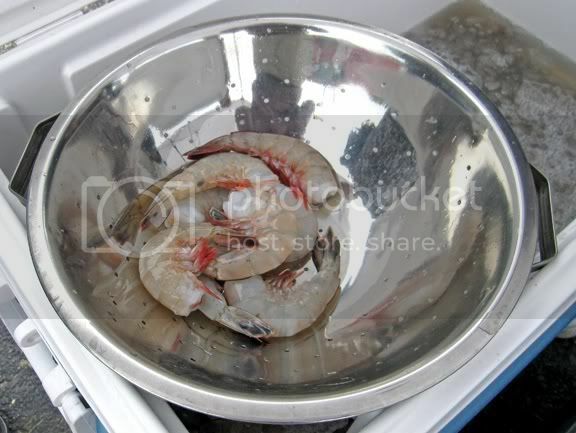 Last Wednesday at the Grayslake Farmer's Market I picked up some of their large shrimp. After a short rest in EVOO, chopped garlic, chopped parsley and red pepper flakes, gave them some time on the BGE. Served with baby bok choy, cannellini beans with pancetta, and jasmine rice. 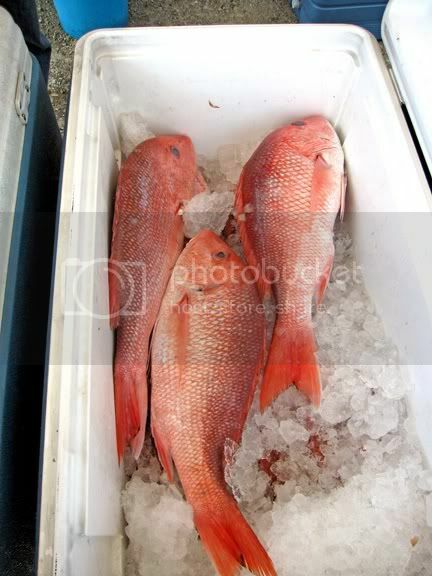 We had bought shrimp and snapper from them for many years but they quit coming to our local market and we haven't been able to coordinate a trip to the Naperville market for about the last four years. I can attest to their quality though and they have been great people to work with. I am a regular at the Elgin stop. Justin is a really nice guy and they seem to be pretty generous with the weight. I always buy several pounds at the last trip of the season and eat them all winter. Even frozen in a home refrigerator they are better than anything I've bought at a grocery store. 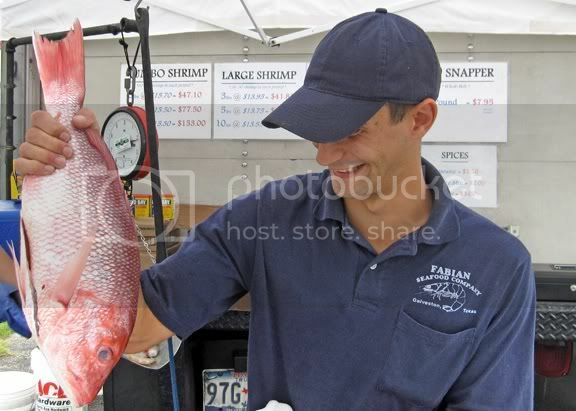 We seem to have multiple threads with Fabian Seafood in the title, and although this thread doesn't have the most recent post about Fabian, it does seem the best titled for the topic. My sister and I went out to Woodstock today to buy from the Fabian Seafood truck for the last time this year. Last time in Woodstock, that is; I think they said there'd be a truck in Elgin tomorrow? And maybe elsewhere in the Chicago area this week--I'm not sure so check the Facebook page for details. All I know is that this is their last time in the area this year; they'll be back sometime in the spring. They were out of red snapper, so my sister and I both regretted not buying that from them earlier this year, but I think they said they'd have red snapper at Elgin. They'd also sold out of the lump crabmeat before we got there , but still had backfin and claw meat and crab fingers. We each got three pounds of shrimp (medium, but they had sizes up to collossal) and a pound of claw crabmeat, and my sister got some fresh shucked oysters. My sister's husband is from New Orleans, so I'd have thought he'd be unequivocally thrilled about being able to get Gulf fish and seafood like this, but she says he's a little not sure about the idea of buying raw seafood off a truck. Well, in the summer I'd worry not about the truck but having it my own car for the drive home, and I'd take a cooler with ice. But it was about 20 degrees F today, so the trunk of her car was plenty cold. And those poor Fabian guys were out in the parking lot, in parkas, plunging their hands into ice water over and over again to scoop up shrimp... brrr! So glad we caught them again one last time this year. 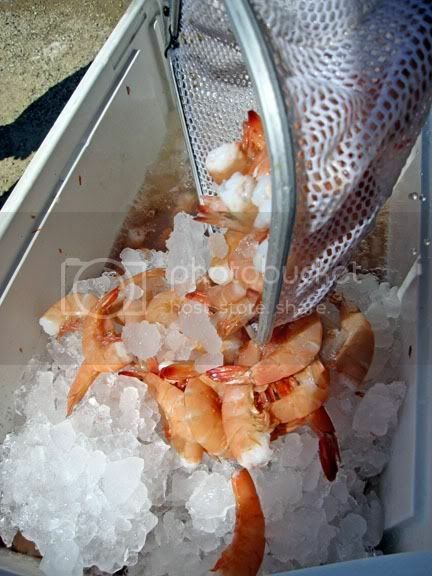 Just finished separating my shrimp into half-portions and freezing them in water in quart ziplock bags. That's how they recommend freezing the shrimp. Last time I didn't add water, just squeezed the air out. I still have some of that shrimp, so I'll be defrosting it soon and finding out if the texture suffered at all by not being frozen in water. 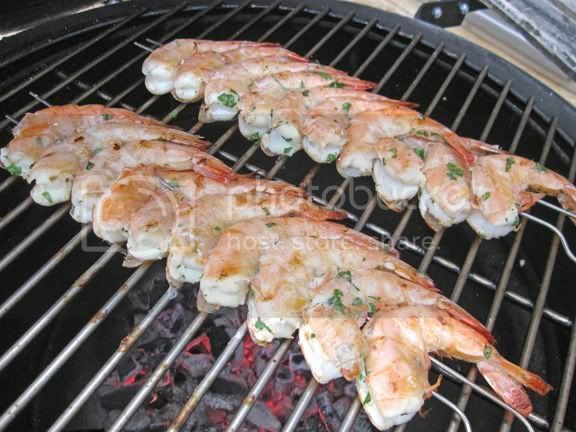 Reading online, my impression so far is that diminished texture that may result from not freezing the shrimp in water would be associated with freezer burn, and I hope I minimized that risk with the previous batch by squeezing all the air I could out of the bags before sealing them. I minimized that risk with the previous batch by squeezing all the air I could out of the bags before sealing them. Anytime you freeze anything in a zip lock - don't squeeze the air out. Put item in zip lock and dip the bag into water. Push the bag into the water until only the very corner that is not closed is out of the water. Close that corner. There will no longer be any air in the zip lock, no matter how irregular the item you are freezing is. That's a great tip; thanks.